If God is in control and needs nothing, why serve God? If God is …, then why? I was and still am one of these people who are asking the BIG questions, and many of my blogs are attempts to answer these questions for myself while simultaneously writing words about God’s glory. Many Christians, (myself included) tend to answer these BIG questions in an unsatisfying way because our intention is to let God off the hook so that he will look “nice” and “acceptable” to our culture. The unintended result of our cultural transformation of God is that the fame of his glory is diminished. I don’t want to answer questions that way anymore. I want to be truthful and therefore biblical, so I hope that you find this big question answer below somewhat satisfying, and I hope that you see more of God’s glory through it. 1. We serve God (and not anyone or anything else) because we are responsible and accountable to him alone. Professor and theologian John Frame explains that God’s sovereignty includes, not only God’s control of everything but also God’s authority; God is the supreme evaluator of everything because he made everything according to his standard. “He is the supreme standard, the source of all value” (The Doctrine of God, p. 124). He will judge all people according to his standard of rightness. This is the same conclusion the Apostle Paul drew after he made the case to the men of Athens at Mars Hill that it is God who created everything, is the sustainer of everything, and is therefore Lord of everything (Acts 17:21-31). Another translation says your plans will succeed. In other words, I think this proverb is at least saying, “Fully commit to serve the LORD, and be assured that your plan to serve the LORD will succeed.” This verse is like Philippians 2:12-13, “… work out your salvation with fear and trembling; for it is God who is at work in you, both to will and to work for His good pleasure” (NASB), in the sense that we can fully expect God to enable and sustain that which he commands. 3. We serve God because we want to. When our hearts’ desires match God’s commands, we obey from the heart (Ephesians 6:6). This is true freedom in Christ (John 8:35-36). In other words, we are slaves to Christ in the sense that Christ has purchased us and we are accountable to obey him, but we are free sons and daughters with the result that obedient service is exactly what we want to do. How does this desire and resulting freedom to serve come about? The short answer I think is that our desire and freedom to serve come from God’s work in us (2 Corinthians 3:18; Philippians 2:13). The presence of God with us and in us motivates us to take responsibility. In the presence of the great king, we dare not refuse his commands” (Frame, The Doctrine of God, p. 124). Question: What is the chief and highest end of man? Answer: Man’s chief and highest end is to glorify God and to fully enjoy him forever. Scripture Proofs: Romans 11:36; 1 Corinthians 10:31; Psalm 73:24-28; John 17:21-23. In relationship specifically to our service to God I would also add Matthew 5:16 and 1 Peter 2:12 which emphasize the relationship between our good works and God’s glory. 5. We serve God because our service is meaningful and significant. Our service (to the degree that it results in God’s glory) is meaningful and significant because God (the ultimate authority) has said that it is and because his glory is meaningful and significant. I’m NOT saying we are meaningful and significant because of what we do for God – because of our service. No! Rather, we are meaningful and significant because of “what God has done for and in us” (Frame,The Doctrine of God, p. 125). When the highest authority has created you, given his life to buy you out of slavery to sin, transferred his perfectly righteous works to your credit, adopted you as his own, and given you his Spirit, you can rest assured that you are significant. And, when you spend your life worshipping the God who did that for you and joyfully serving him, your existence will be filled with the most meaningful meaningfulness. The God who made the world and all things in it, since He is Lord of heaven and earth, does not dwell in temples made with hands; nor is He served by human hands, as though He needed anything, since He Himself gives to all people life and breath and all things; Acts 17:24-25 (NASB, Excerpt from the Apostle Paul’s Discourse addressed to the men of Athens at Mars Hill). In this passage Paul tells the skeptics in Athens that God is not served by human hands as though He needed anything. Paul went on to explain that in God they were living, moving, and existing (Acts 17:28). In other words, God, the source of their common existence, was at that very moment, by his power alone, sustaining the conditions that enabled them to be alive doing what they were doing. Whether you are a believer or a skeptic, God is, at this very moment, the One source of all human life and your personal lifeline, for in Him you live and move and exist … (Acts 17:28 NASB). And he will continue to be your lifeline until the boundary of your time on earth ends (Job 14:5; Ps. 39:4). There is nothing you can do to earn God’s life-sustaining favor; it has already been freely given to you. Don’t let me serve you as if you need my help. Don’t let me serve you as if I’m doing you a favor. Don’t let me serve you as if you owe me something in return for my “generous” contributions to your cause. Don’t let me serve you as if I am special. Don’t let me serve you as a way to gain something from you knowing that this kind of serving glorifies me and demeans your glory. Do not be slothful in zeal, be fervent in spirit, serve the Lord. Romans 12:11 (ESV, excerpt from the Apostle Paul’s letter to the believers in Rome). Serve God, Paul urges, with enthusiasm – with a passionate spirit. Sometimes this enthusiastic service is carried out with tears (Acts 20:19) and always with cheerful willingness, thankfulness, and total humility (Ps. 100:1-5) – knowing that God is the giver and sustainer. Always, this service is to flow from a genuine love of God. Let me serve you with the kind of serving that comes from a true love of you so that the world will know that I love and value you. Let my service result in the showing forth of your glory – not mine. If God is in control of everything, why pray? Another resource: Bruce Ware’s discourse concerning the idea that our service to God comes from God’s generosity in “God’s Greater Glory,” chapter 8 – “Living Under God: Seeing the Generosity of God in Our Service to Him,” was also a great help in contemplating the answer to this question. 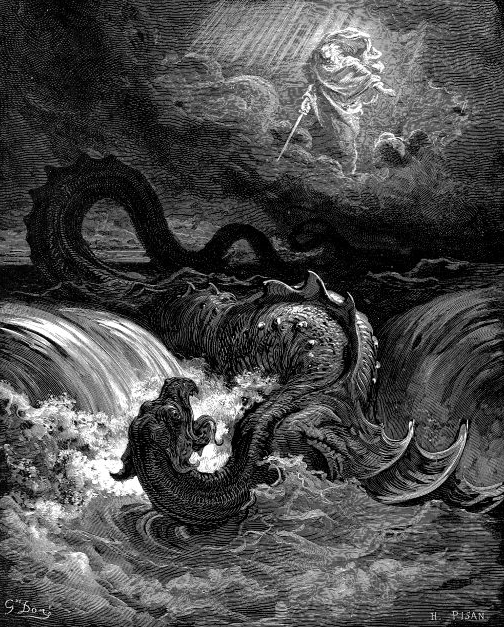 Proverbs are not promises: Though I admit struggling with what is and what is not included in God’s promise, I know that theologians explain that the Proverbs are not to be thought of as promises in the sense that Mark 16:16, “He who has believed and has been baptized shall be saved; but he who has disbelieved shall be condemned” (NASB) is a promise, but that does not mean that they are not true does it? (Compare Pro. 16:3 with Ps. 37:4-6; Is. 58:6-11). Exclusivity of our service to God: Our service to God is also exclusive (Luke 4:8). We are not to serve anyone or anything else in a way that implies a dependence on them because we don’t look to anyone except God for our existence. That is not to say that we don’t participate in serving others (God commands us to), but we serve them as if we are serving the LORD himself (Col. 3:24)– out of a real heartfelt love for God. Other passages that confirm God’s self-sufficiency: Ex.19:15; Deut. 10:14; Ps. 24:11; Ps. 50:10-12; and 1 Cor. 10:26. 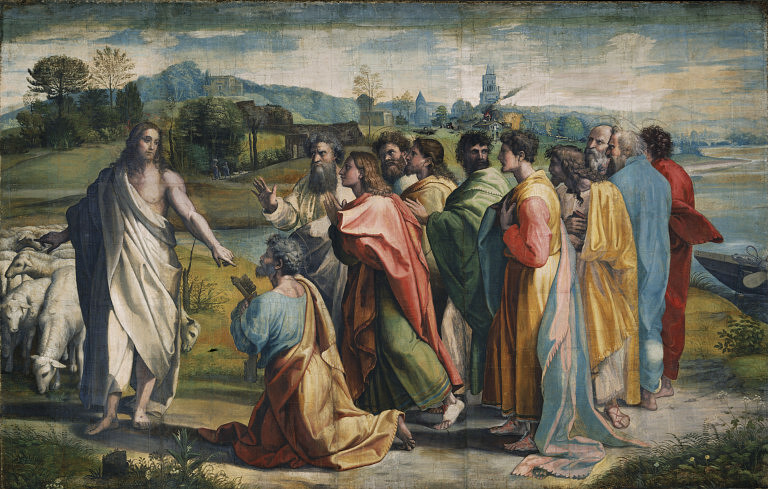 Painting by Raphael, “Christ’s Charge to Peter,” (Public Domain) accessed from wikimedia.org. What’s all the Commotion About?